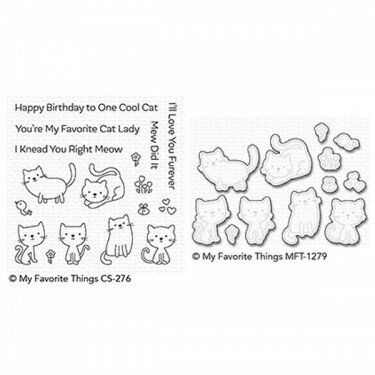 Cat ladies, rejoice - this set is for you. Three different pairs of cats can be used individually, or invite other cat pairs to the party for a meow-velous time. Add tiny scene enhancers like flowers, hearts, and cat-favorite mice and birds for a truly terrific time. 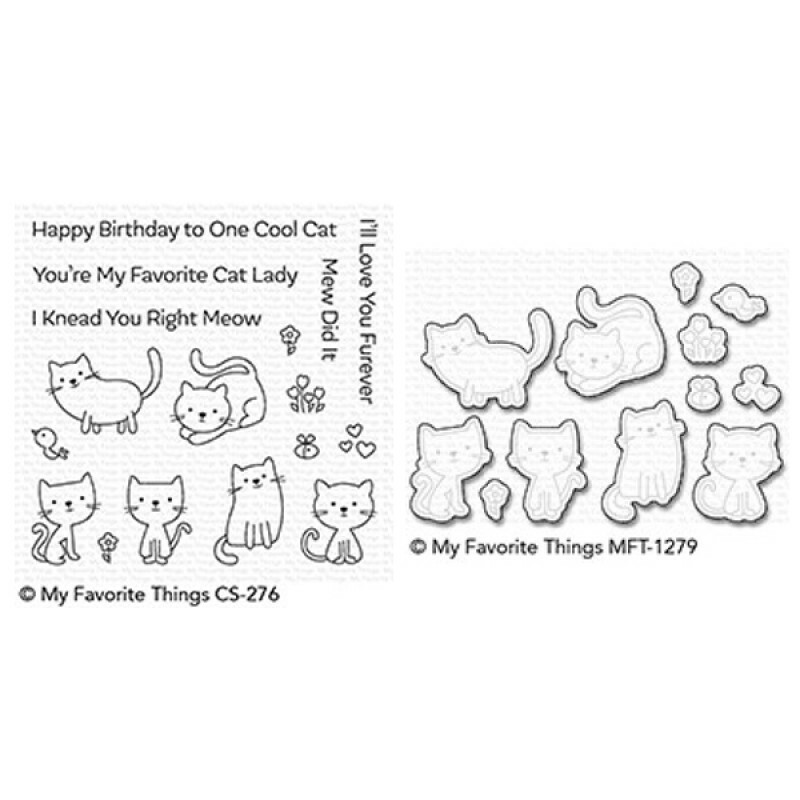 This 17 piece set includes: Cats (6) 1 ¼" x 7/8", 1" x 1", ¾" x 1", ¾" x 1", ¾" x 1 1/8", ¾" x 7/8", Flowers (3) 3/8" x 3/8", 3/16" x 5/16", 3/16" x 5/16", Bird 7/8" x ¼", Mouse ¼" x ¼", Hearts trio 3/8" x 3/8", Sentiments (5) ranging from 1" (Mew Did It) to 3 1/8" (Happy Birthday to One Cool Cat) in length. ALSO includes the co-ordinating die-set for perfect results! Thin metal dies for use with a die-cutting machine. All MFT clear stamps and Die-namics are made in the USA.